The 4 Essential Digital Lead Gen Checkpoints to Audit for the New Year - Amplification Inc.
January is realm of the considered purchase. If your business is geared more toward major purchases, the financial services or home-related industries, or the B2B space, now is the time to develop and refine your lead generation marketing plan to make sure you start 2018 with a bang. There are a number of market factors at work that make the entire first quarter of the year a critical time for many industries. For one, personal products over $500 receive a second life in January. Consider that many people today receive gift cards and cash in place of gifts. All that newly found spending power is often pooled by consumers into larger purchases, such as expensive electronics, jewelry or other sizable purchases. Plus, with each new year, comes a fresh spending hangover from the holidays and renewed commitment to accomplish personal goals, such as remodeling your kitchen or reducing the cost of your homeowners’ insurance. Purchases that represent important financial commitments or have far-reaching impact are often initiated this time of year. Perhaps the largest opportunity for Q1 marketing is among the business audience. Employees start the year with new goals, fresh energy and an as-yet untapped budget! If you’re in the B2B space, now’s the time to create awareness, cement relationships and line up conversions. And don’t forget the new corporate tax changes which could lead to business investment in many sectors, especially retail. For larger purchases and business to business services, the one-touch sale is rare. According to Google and other experts, the average consumer visits a minimum of 11 resources online before making a purchase decision with a price tag over $500. And some industries, such as automotive and insurance invoke even more research, with as many as 18 online info sources viewed before purchase. So, dust off your lead forms, and take a fresh look at your ongoing lead nurturing and conversion process. Get tracking in order – Most ad platforms today – from Google AdWords to Facebook — provide tracking capabilities to help improve audience targeting and increase conversion oriented traffic based on behaviors, such as serving a different message to anyone who visits a specific page of your website. This will also help you stay in touch with those not converting to leads by using retargeting strategies. Reevaluate your lead form and offer – Convincing someone to give you their personal contact info can be a challenge if there is no perceived benefit to the consumer. Are you offering enough incentive? Take a fresh eye to the design. Even small design changes – say graphics that better reflect your audience or color schemes to draw the eye to certain parts of the page — can have a large impact. Perform an A/B test to find specific tactics that increase lead capture. 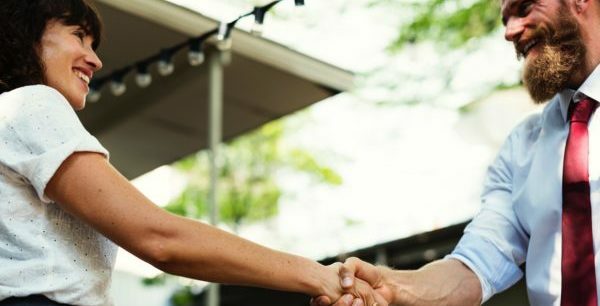 Define / Refine Your Post-Lead Contact Campaign – When someone connects with you as a new lead, that represents a hand shake with your business. Now you need to keep that consumer engaged with your brand and products. In addition to retargeting, should you use a Customer Relationship Management (CRM) platform to extend messaging? Take some time to map out the consumer purchase journey and try to provide marketing in the form of useful, helpful info throughout the consumer’s path using a variety of touch points and media channels. Harness the Power of Video – Nothing tells the story as well as video. Having a succinct, get-it-in-gulp promotional video is table stakes for modern marketing. But it’s important to think beyond the 30-second soundbite. Video has the unique ability to connect with your audience at every stage in the nurturing process, whether you’re looking for creative that cuts through the clutter early in the funnel, educational material in the middle of the journey or stories that sell to close the deal. Now that you’ve taken a fresh look at your lead marketing needs, you probably have a punch list of updates to slog through. Here’s a tip on how to prioritize: Start with the end of the purchase journey and work backward to the top of the funnel. Get your closers working first, and the rest will fall into place as time and budget allow. Need help with your digital marketing efforts in 2018? Amplification, Inc. is here for you. We specialize in developing video-first marketing campaigns that turn up the volume on your core business messages and the cash register ring.